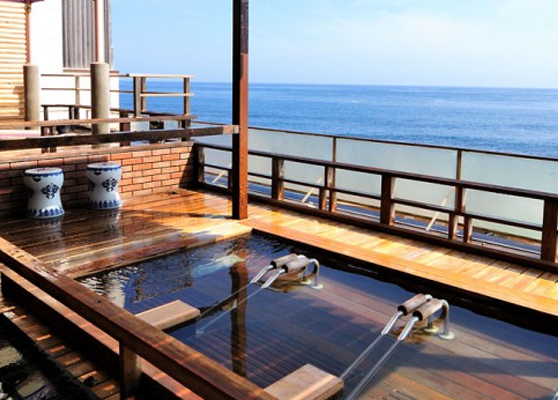 Enjoy the natural hot spring while looking at Chaoyang · Evening · Horizon Line · vast ocean. 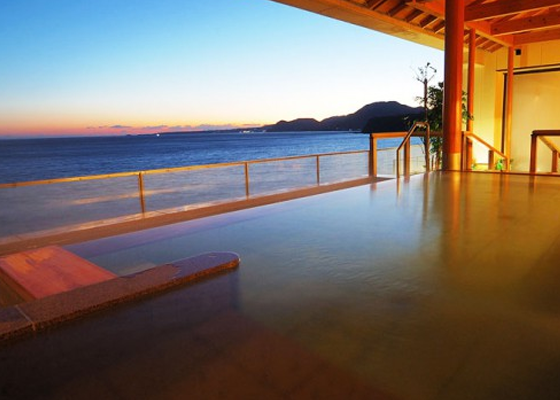 You can enjoy 13 hot springs of Inatori Tokai Hotel (sister pavilion). 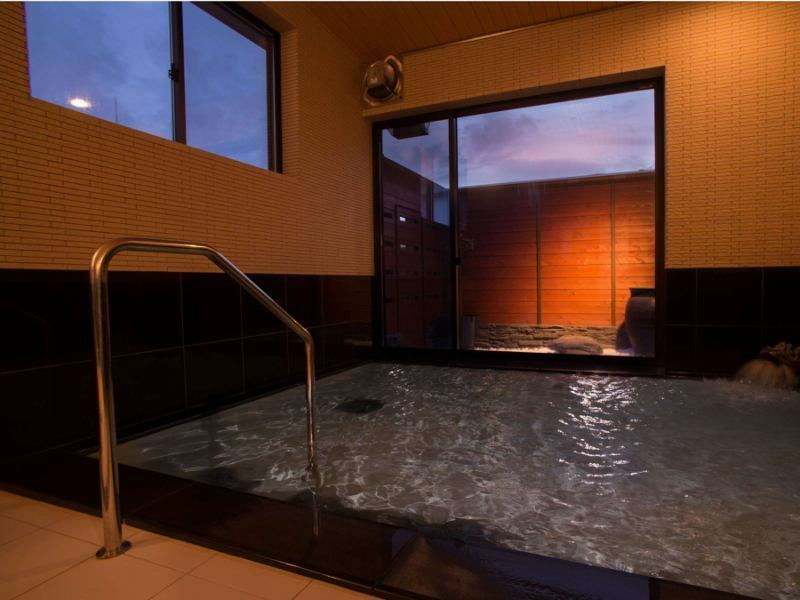 You can enjoy various hot springs including outdoor baths, as well as sleeping baths, hammered water and coral sauna. I can wear yukata because the sister building is in front of my eyes. SAZANA, in addition to the Large bath Private Bath also have two Private Bath within the facility to cherish the best private space. 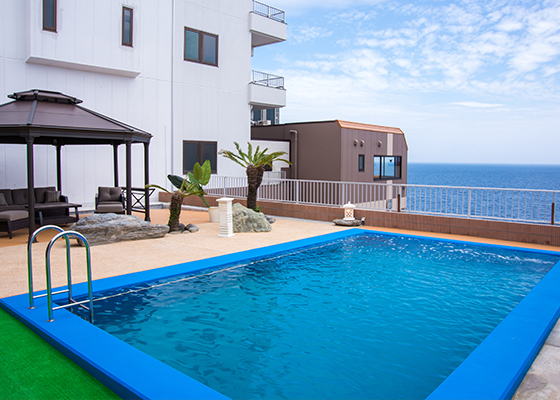 You can also use the Large bath main building Tokai Hotel Yuen opposite the building. Hot water that heals while feeling the large ocean to return is just when it is bliss. Please enjoy the various landscapes to your heart 's with every season the beautiful nature surveys weave. A Large bath opened in April 2016. Please enjoy yourself at ease while listening to the sound of the Pacific ocean. It was completed in May 2016. It is healed by the scent of the sunshine, the sound of the waves, enjoying the resort feeling. The bathtub is spacious and can be used in groups. Because it is compatible with universal design, it is a bath that is easy to use even for the elderly. 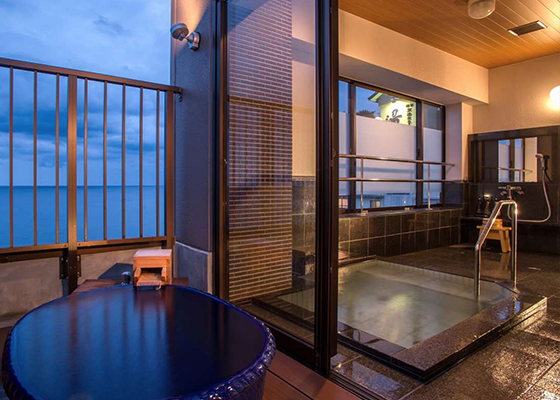 Especially it is a Private Bath recommended for couples. Spacious private space equipped with outdoor bath, expanding the ocean from the stalls bath in front of you. 5th floor in "Inatori Tokai-hotel Yuen"
3rd floor in "Inatori Tokai-hotel Yuen"